Description of what is required on the glasses. Engraved Wine Tester W230ml glasses are ideally suited for company marketing and are perfect as promotional gifts. The smaller fluid volume means they are ideal for both white and red wine. 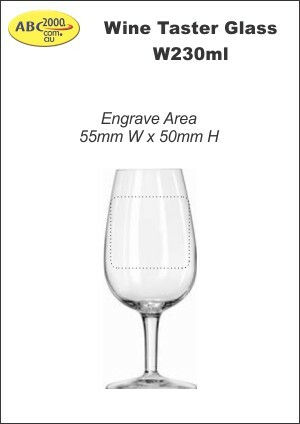 These custom etched wine glasses are an affordable solution for your event. Also great for Birthdays, Weddings, Corporate Events and more. Laser engraving ensures the most permanent type of decoration of glassware which makes it 100% dishwasher proof. 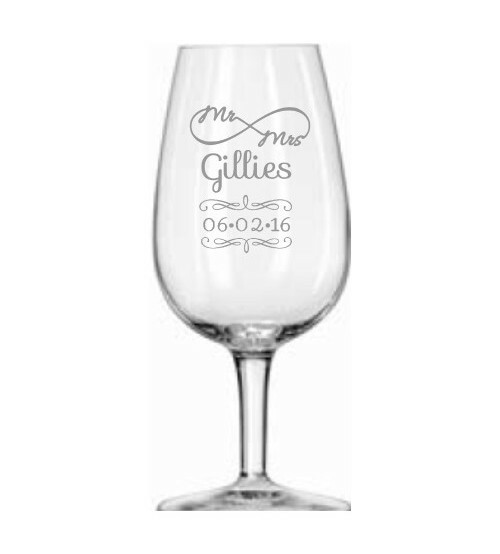 - A minimum order of 1 glass is required to personalise your order with laser engraving. - An additional charge will be applied for artwork that requires each glass to be different ie. personailed names. 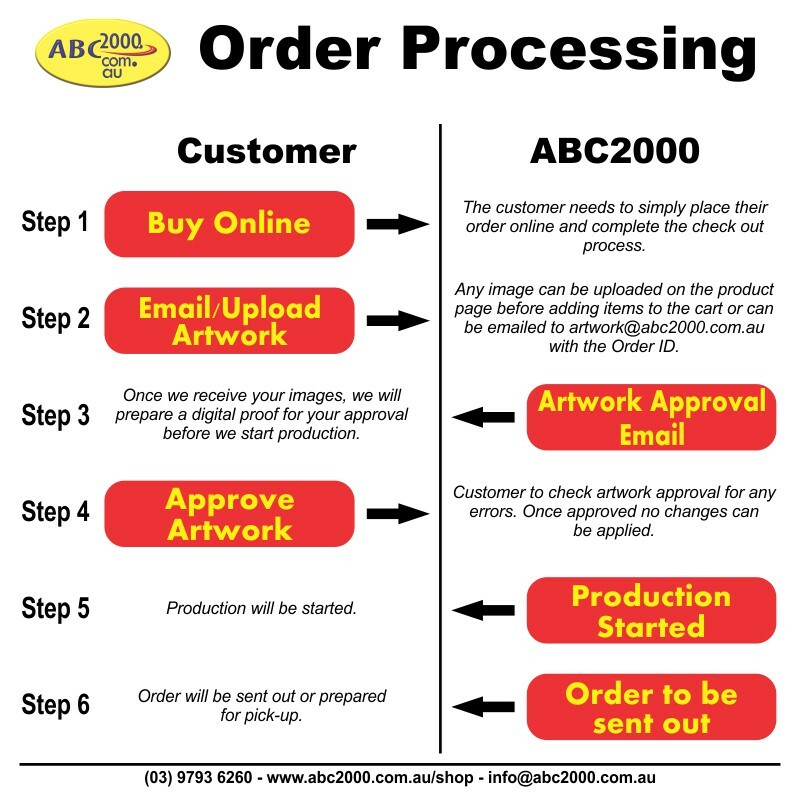 - All orders with custom artwork must be submitted via the upload button or sent to artwork@abc2000.com.au with your order number as the reference. - All artwork needs to be supplied as a pure black and white image without greyscales preferably as a vector pdf file. - Any orders that need any graphic design change or conversion are also subject to an additional artwork fee starting from $25. - We can check your artwork before you commit to an order. 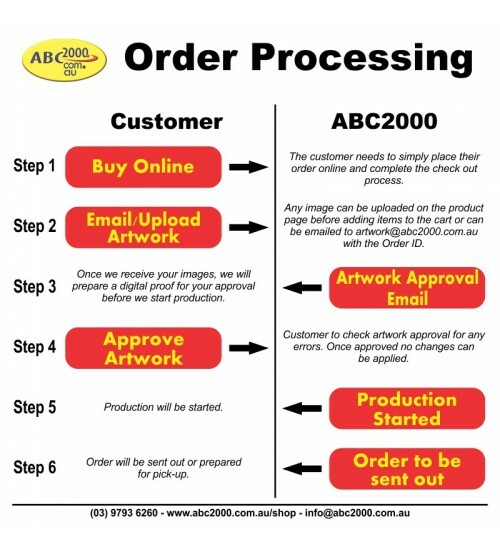 Please send your artwork to artwork@abc2000.com.au. - Once the order is submitted an artwork approval will be sent out for confirmation before production is started. Orders over 10 glasses will take 14 days (excludes shipping time). RUSH PRODUCTION can also be organised however please send us an email to confirm availability. All personalised glassware are non-refundable and non-exchangeable. Note: We package our glassware as carefully as possible and breakage occurs very rarely however sometime they do and we are unable to provide a refund for damaged items during shipping. Please be sure to order additional glasses to cover breakages that occur.